Have you ever considered spending an extended period of time in Italy? If you are like me, you probably did many times. And if you’ve kids, you might have shelved this dream considering all the complications that come with any international move. As an Italian mom living in the US for more than 13 years, the idea of giving to my kids the opportunity to experience Italy more than just as tourists was extremely appealing. So after some long conversations with my husband and some careful planning, we decided it was worth the try. 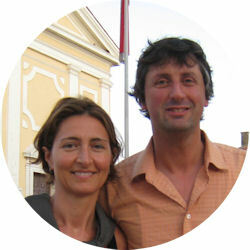 My two young kids (Alessio, 6 and Silvia, 9) would attend a local elementary school for four months. For conveniency, we chose our hometown Trieste as our destination. In Trieste we still have our extended family that helped us with some of the logistics such as finding a rental apartment and getting some of the school paperwork done. Admittedly, knowing the language and having local support made things smoother, especially due to the time difference (9 hours) and the inability to use the Internet to get through some of the school red tape. As a small business owner, I was able to put on hold my activity. My husband’s job in high tech wouldn’t let him leave for too long, so he decided to stay in the US and reach us later for a vacation. While there, I’ll try to cover some of the curious aspects of this experience. If you’ve some questions feel free to email me or post a comment below. Grande Francesca! Anche io sono mamma di due bimbi piu' piccoli dei tuoi (5 e 2 anni) ma ho pensato e penso spesso che sarebbe importantissimo per loro poter tornare in Italia per qualche mese per poter andare a scuola e avere un'esperienza tutta Italiana (io sono di Verona), non ho ancora cestinato l'idea e mi fa piacere che tu abbia deciso di dividere le tue impressioni con noi, tienici aggiornati su come va tutto! Ciao Rossella, e' davvero un'esperienza da fare, credimi. Mi raccomando pero' di non commettere l'errore che ho commesso io con i miei bimbi, e cioe' di pensare che l'italiano scritto e letto venisse loro naturale dato che sanno quello parlato. Grande presunzione… Mia figlia ha avuto delle notevoli difficolta'. Per cui procurati dei libri e comincia ad insegnarglielo fin dalla prima. Vedrai che dara' i suoi frutti. Ciao! First of all let me tell you that your blog is wonderful. 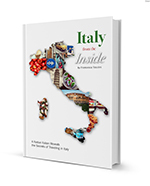 I been looking for information about the schools in Italy, and when I found it in here, I was so happy. 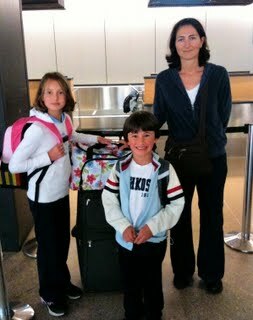 My husband got a job in Trieste and we are moving this summer there, we have two kids Camila 6 and Mateo 3. I am Scottish but lived for a brief period in Trieste . I imagine you sent your children to the International School in Opicina …. Having lived in many different countries with four children , I feel confident about giving advice anche in italiano….